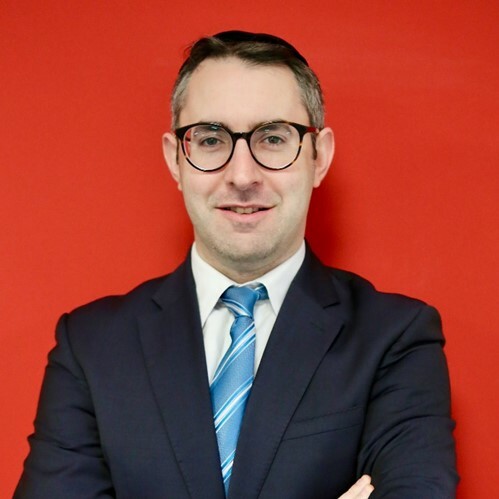 Having joined the MRN team almost a decade ago, Avi’s focus as Solicitor/Senior Costs Draftsman is predominantly high value and complex matters of Commercial Litigation, Clinical Negligence and Personal Injury. Beyond this, Avi is also an Accredited Mediator and registered with the Civil Mediaton Council. Avi carried out his training at the London School of Mediation with his observerships with only Legal 500 mediators. Following the successful completion of his Law degree and his Legal Practice Course, Avi was awarded a training contract at MRN and qualified as a Solicitor in March 2014. As a trained Solicitor, Avi is able to perform quickly and efficiently. He is adept at balancing a forensic approach with a pragmatic approach remaining objective on the one hand, while at the same time achieving swift and very favourable results for his clients. His role involves preparing Bills of Costs, drafting Budgets, providing advice to clients and attending hearings. Where Avi excels however, is his fierce ability to negotiate favourable settlements for his clients. Avi is a strong believer in placing himself into his client’s shoes. This allows him to appreciate his client’s perspective better and to as a result, deliver outstanding results. Perhaps Avi’s signature principle when resolving and negotiating cost disputes, is that negotiation is not a matter of reaching a compromise or splitting the difference, but rather a matter of truly attaining the very best result for his client. Avi is dedicated to providing a first class service to his clients by continuously managing their expectations and assuring they understand each step in the process. He enjoys pushing the borders in relations to costs and not taking the stagnant route, understanding that each case and client have their own needs and expectations. Beyond his legal experience, Avi is also fluent in French. During his time as a Costs Draftsman, Avi has worked on many prominent cases, including assisting and advising a Top 10 Law Firm on an Application for security for costs in a breach of contract claim worth in excess of £30 million and preparing a Bill of Costs in respect of a catastrophic Road Traffic Accident to the sum of £1.9 million. Avi has also prepared a budget for a boutique property litigation matter of a contested estate in excess of a million pounds and assisted and advised on a Costs Budget in an IP matter in the entertainment industry for a claim worth over £5 million. In another recent high-value and very complex Commercial Litigation case, Avi prepared a budget for the Defendant party in excess of £3 million. The case was in relation to business losses resulting from a late delivery on an order, and involved a reputable transportation manufacturer and a foreign start-up company. The Defendant filed for an Application of Security Costs as the case involved claimants outside of the UK. The Court then used this budget to assess a reasonable amount for the application. As far as spare time is concerned, Avi doesn’t seem to have any in between MRN and playing chauffeur to his children!